"A fresh, vivid, expansive understanding of a historical moment.... This is a book to delve into, and explore, and get lost in by the hour. " "Christensen could pick a variety of years out of a hat--1753, 1892, or even 1545--and make a thrilling story out of it." "There’s quite a story lurking in 1616.... Ultimately, “1616” is a whirlwind tour, taking readers from Istanbul to Manila to Algiers and introducing them to sailors, royals, and sultans." "Thomas Christensen's 1616 is a delight, an adventure, a reading and visual treat of the first order. Once you hold it in your hands, and the sumptuous, well-chosen illustrations fall open, its $35 pricetag will seem like a bargain." " Where Christensen shines ... is in his tales of individuals incongruently ricocheting around this newly opened world." "A swashbuckling, stargazing, witchcrafty, 'round-the-world-in-three-hundred-plus-pages historical adventure disguised as an art book, 1616: The World in Motion is simply dazzling." "This thoughtful, beautifully illustrated book examines the key events in art, science, war and politics, as well as mass migrations, new modes of trade and women's emerging roles." A "fresh, deeply researched and thoughtfully composed window back in time." "A stunning overview of the nascent modern world through a thematic exploration of the year 1616." " Well-researched and entertaining ... a unique reading experience." Thomas Christensen’s 1616: The World in Motion, is one of those unconventional, unclassifiable, uniquely pleasurable histories that seems to take a narrow path but opens into a fresh, vivid, expansive understanding of a historical moment. There are many books on single years — 1066, 1492, 1945 — but Christensen’s book was born out of an epiphany and an anomaly. The anomaly is that both Shakespeare and Cervantes died in 1616, both on April 23 but 10 days apart. The discrepancy occurred because Spain was on the Georgian calendar, England not. This was “a world in motion,” as the final links closed in a global network of trade and cultural exchange. The Spanish silver shipped from Acapulco to Manila traded for Chinese silk, which was all the rage in Europe. For the first time in history, all the world’s trade routes were joined. This was the time of the Little Ice Age, decades of intense cold that touched the entire globe. In China, the period between 1615-17 is known as The Second Wanli Slough, a period of freezing, drought, famine, locusts and “encounters with dragons.” It inspired the fanciful icy landscapes painted by Dong Qichang and other artists — and in the West, Hendrick Avercamp’s paintings of Hollanders playing colf on the ice. The largest Western Hemisphere city was Potosi, larger than London, Madrid or Rome. Set high above the tree line in the Andes, here was the source of the silver that fueled the silk trade and linked the new worldwide economy. In pursuit of which, 8 million people died. Londoners of the time were most eager to meet John Rolfe and his wife Matoaka, better known as Pocahontas, whose visit to England, Christensen reveals, was a promotion by the Virginia Company to advance settlement in Virginia. It was the time of Kepler, of Galileo’s trial, of Rubens, and a hundred different artists and astronomers, rulers and sailors, and stray memorable figures that Christensen illuminates in a page or two, or in one of his lengthy captions. This is a book that’s nothing but digressive, and at the same time something much more than a collection of pieces and digressions. Page by page, a continuity unfolds, a sense of the time, and the worldview of extraordinary and ordinary people alike. Nearly every page is illustrated and the illustrations are lavish, most in full color, all aptly chosen. The captions are fascinating, too, and not to be missed. This is a book to delve into, and explore, and get lost by the hour. No stone is left unturned under Christensen’s masterful eye.... Christensen could pick a variety of years out of a hat--1753, 1892, or even 1545--and make a thrilling story out of it.... This systemic look at the world at a point in time is much needed.... Thomas Christensen has placed [him]self in the same breath as Herodotus or Doris Kerns Goodwin. I believe the average American has little idea what was happening on the world stage 150 years before the United States became a country. Thomas Christensen looks to rectify this lack of knowledge with eir new book, 1616: The World in Motion. This title goes into exhaustive detail about the different wars, political intrigue, illnesses, and cultural contributions that occurred during the titular year. No stone is left unturned under Christensen’s masterful eye, ensuring that hard data is placed alongside narratives and second-hand stories. 1616: The World in Motion benefits from considerable citations; I feel that one could spend a lifetime examining the different works, articles, and books that were tapped by Christensen for information. While it would be nigh impossible to discuss matters on a year by year basis, I believe that Christensen could pick a variety of years out of a hat – 1753, 1892, or even 1545 – and make a thrilling story out of it. In a period where individuals just get soundbites and short Wikipedia articles about events and individuals, I feel that this systemic look at the world at a point in time is much needed. The events themselves are the attraction – why would one need to read a fictional title when real life was so much more compelling? 1616: The World in Motion is a title that anyone that is a fan of history can sink their teeth into; Thomas Christensen has placed eirself in the same breath as Herodotus or Doris Kerns Goodwin. Make sure to pick up a book from your local bookstore or a variety of online retailers (some have the title for $23, even) today. Christensen, a true renaissance author, has more than trade winds on his mind. He also focuses on the changing role of women, the evolving artistic imagination, and the conflict between science (astronomy in particular) and superstition (such as witchcraft). This was a time, perhaps not too terribly different from our own, when women got much of the blame for bad things that happened. Why are witches often depicted as old women? Because, Christensen writes, they symbolized infertility and were burdens on their families. Ultimately, “1616” is a whirlwind tour, taking readers from Istanbul to Manila to Algiers and introducing them to sailors, royals, and sultans. Even if it’s overwhelming at times, many readers will take a page from those who lived in 1616 and simply enjoy the bumpy ride. In his preface to "1616: The World in Motion," Thomas Christensen describes waking up one morning "with the date 1616 in my head and the resolution to research and write about that year already formed." That resolution, he says, "seemed to come out of nowhere," which sounds about right for a book that explores so many unimagined and unprecedented connections. The initial connection was that both Shakespeare and Cervantes died in 1616, on the same date, April 23, but 10 days apart. That anomaly is explained by Spain being on the Gregorian calendar, and England not. Many similar odd congruities occur throughout this book, which covers the globe and, most intriguingly, shows how interconnected the world had become -- was becoming, at just this moment in history. Spain's New World silver riches, channeled west from Acapulco to China, where they were traded for silk, formed the last link in an international trade that had begun two centuries before by the Portuguese. Silver transformed the currency and trade system in China -- which committed all its available land to mulberry trees, and fostering the silk trade. Acapulco, by the way, was then "one of the most important places in the world. Through it passed much of the world's silver, the default currency of the new global economy," and Christensen finds room to explore its history, and even include a color poster reproduction from Elvis's 1963film, "Fun in Alcapulco," which included the memorable tune, "No Room to Rhumba in a Sports Car." "Elvis's scenes," Christensen reveals, "were shot on a Hollywood lot. He never visited Acapulco." The color art of this book is central, and catalyzes the art of digression. Richly, beautifully illustrated, with long, fascinating captions, this is a book to get lost in, hour by hour. Christensen's day job is at the Asian Art Museum in San Francisco. The 1600s were the time of the "Little Ice Age," an unusually cold stretch suffered around the world -- and rendered beautifully in Chinese painting of the era. The largest city in the Americas was Potosi, home to 8 million high above the tree line of the Andes, source of that great stream of silver that threaded the globe. In England, Londoners were agog over Matoaka, better known to history as Pocahontas, the second wife of Englishman John Rolfe -- who, it turns out, was her second husband. And no, the first was not Captain John Smith, but a fellow American Indian, now forgotten. Her "brief moment of celebrity," writes Christensen, "was in a sense artificially generated as an aspect of the public relations efforts of the Virginia Company, whose directors wanted to show a reformed heathen as an example of their work." Matoaka was exhibited as a princess, had her portrait painted in English attire, and dined at Whitehall Palace. She was reluctant to return to Virginia, was stricken with the "bloody flux" before the ship left the Thames, and died soon after being brought ashore -- barely 20 years old. Her authentic history proves more affecting than any legend could devise. Rolfe's first wife and son, by the way, died in a famous shipwreck in 1609 in Bermuda, which became the inspiration for Shakespeare's "The Tempest," first produced in 1611. Small world -- and so it seems it was, even then. Thomas Christensen's "1616" is a delight, an adventure, a reading and visual treat of the first order. Once you hold it in your hands, and the sumptuous, well-chosen illustrations fall open, its $35 pricetag will seem like a bargain. The world was in upheaval by the early 17th century. European trade routes to Asia were well-established; the Spanish had overthrown the indigenous states of what was now Latin america and had established, with Ming china, one of the most lucrative and violent East-West exchange points ever known in the Philippines; and the first African slaves had crossed the Atlantic. Where Christensen shines ... is in his tales of individuals incongruently ricocheting around this newly opened world. There's the samurai Hasekura Tsunenaga, visiting the Vatican in late 1616. And in one of the most arduous journeys of the day, Tsunenaga--the last Japanese abassador to Europe until 1862--had taken a ship to Acapulco, crossed Mexico by donkey and sailed on to spain. And then there were the truly random wanderers, who seem as alienated from their home societies as any modern globetrotter. An Italian ttraveller met George Strachan in the desert outside Baghdad, where the Scotsman had been following the life of a nomadic Arab, because of "the generous mode of freedom in which they live." Strachan, however, was about to depart for India, because the local authorities were urging circumcision on him. 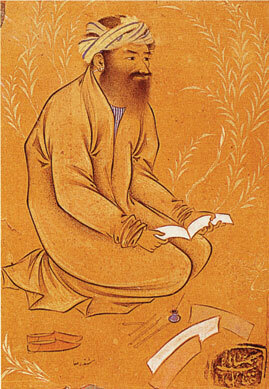 His later years are unknown, Christensen notes, but every so often Eastern manuscripts surface, like the Persian book in the British library bearing the note, "transcribed into Latin by George Strachan, Scot of the Mearns, 1634." A swashbuckling, stargazing, witchcrafty, 'round-the-world-in-three-hundred-plus-pages historical adventure disguised as an art book, 1616: The World in Motion is simply dazzling. It was conceived after author Thomas Christensen had a dream about the eventful year, which witnessed the deaths of William Shakespeare and Miguel de Cervantes; Pocahontas (aka Matoaka, aka Lady Rebecca Rolfe) traveling to London; Galileo meeting with the Pope in Rome; and the Jesuits expelled from the Ming Court in China. There isn't a single stone left unturned in this profile of one heck of a year. Each chapter is viewed through familiar figures you may remember from high school history class. Christensen, who reads at Mrs. Dalloway's (2904 College Ave., Berkeley) on Thursday, March 22, "picked figures who would work for weaving the theme," "act as frames for the basic ideas of that chapter," and "who I liked the best." So we encounter Johannes Kepler, desperately trying to save his mother Katharina from being convicted of witchcraft; Dong Qichang, an influential Chinese painter, fleeing an angry mob who couldn't care less about his artistic sensibilities; and Pietro della Valle, an Italian nobleman, destined to meet and marry sixteen-year-old Maani Gioerida — and then carry her corpse halfway around the world to bring her back home. If this all sounds daunting, it's not. Says Christensen, "I tried to tell the book in a normal tone of voice. I wanted it to be well-informed but I didn't want it to be stuffy or scholarly. So I was hoping it would appeal to people who just wanted to learn about the period, learn more about art." The book's glossy prints, maps, drawings, and photos are all jewels handpicked by the author, who is also director of creative services at the Asian Art Museum of San Francisco. Did that help the process? Christensen acknowledges that it wouldn't have been possible to write the book if not for his day job. "I guess it sort of motivated me to be careful," he said. "One thing I wanted to do with this book was be really global, not just European, [and] reflect different cultures." He also wanted to illuminate parallels between then and now. Christensen doesn't harp on them, but they're impossible to miss. He points to some of the larger themes, such as "the sense of rethinking the scope of the world in the face of technological change," as well as "issues between science and reaction/backlash to it. For example: the skepticism that some people express to climate change [today] is like what Galileo experienced with reactions to Copernicanism." In addition to writing the book, Christensen (who has had stints as an illustrator, graphic designer, photographer, and webmaster), also designed the book's layout. "Because I have the background and experience, I was able to do it," he says. "And, luckily, my publisher agreed to let me do it, so it was a great privilege and luxury to lay out and design the book myself." In the words of the author, "It's a rich world." The year 1616 was marked by worldwide change, according to Christensen: the deaths of Shakespeare and Cervantes and the introduction of a new age of literature; the rise of the first global economy and emergence of the first international corporations. From Europe to Asia and the Near East to the Americas, innovation was everywhere, and this thoughtful, beautifully illustrated book examines the key events in art, science, war and politics, as well as mass migrations, new modes of trade and women's emerging roles. Christensen, director of publications for San Francisco's Asian Art Museum, includes dozens of full-color images of paintings, prints, maps and photographs, creating a captivating survey of a burgeoning modern world. Thomas Christensen is no slouch when it comes to writing page-turning nonfiction. Among his previous books are The Discovery of America and Other Myths and The U.S.-Mexican War. In handling his weighty subject matter, Christensen seems to avoid popular culture’s existing perceptions about historic events. His most recent book offers another fresh, deeply researched and thoughtfully composed window back in time. While his focus is on a single year that has not been widely recognized as one of upheaval and change, he aptly demonstrates just how significant 1616 was to art, culture, trade, sexual roles, and a whole lot more on a global scale. Using that year as “a base that helps to keep those travels grounded,” Christensen plunges into a world of dawning modernity. A full list of the goings-on in 1616 would fill this review. They include the colonization of the Americas and international trade wars, arc between courtesans in Italy to Japan’s pleasure districts, then leap from Pocahontas to Johannes Kepler, from ruler to revolutionary, midwife to Mughal, and female writer to female soldier. This book takes it all in. Such a method for surveying world history surely has its potential pitfalls. Yet Christensen manages to portray and connect disparate events with remarkable cogency. While jumping from continent to continent he manages to capture the very expanse (and connectedness) of a world in the early stages of globalization. He also affords his reader a peek into the lives of those who were right there making it all happen. Any professor who wishes his students to get an overview of the way evolving societies interact with regard to trade, art, and culture, or the ways civilization shifts and coalesces, will find an ally in this book. At the same time, the myriad illustrations and pictures (along with a few bawdy anecdotes) will make for an amusing addition to a home library. Christensen’s writing is droll and at times hilarious. He has a wonderful way of juxtaposing his facts so that the ironies often present in human behavior shine through. Expect to get a few dry laughs or wry grins out of this tome of nascent multi-culture.